The virtual home button also works great on older iPhones, and even iPads. Do you miss the home button on your from-the-future iPhone X? Then we have good news! You can either sell it on eBay for a ridiculous sum, or you can add a home button back using a long-time feature built into iOS’s accessibility settings. Let’s take a look. 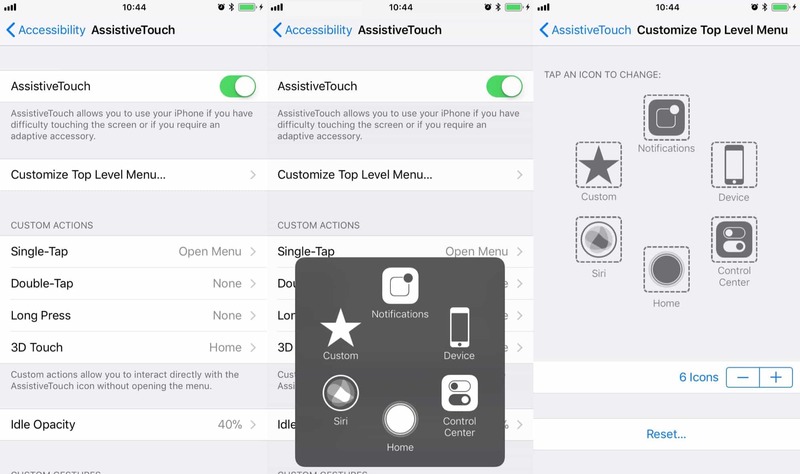 iOS has a virtual home button hidden in Settings>General>Accessibility>AssistiveTouch. Head to that page in your settings app, and toggle AssistiveTouch. The home button will appear on your screen and, unlike a physical home button — it can be moved anywhere. The button is intended for people who cannot easily access a physical home button, but it can also have all kinds of other functions assigned to it, from a double-tap to a pinch gesture, to speaking the screen contents, to rotating the screen. AssistiveTouch offers an absurdly-customizable home button. There are two ways to interact with your new virtual home button. The first is a radial menu that pops up whenever you tap the button, showing six more buttons floating around the one your tapped. By default, this contains buttons for Siri, Control Center, Home, Device, and Notifications. Of these, Device opens a second menu with options for volume, mute, screen lock and rotation, plus yet another menu shortcut button makes More. All of these are customizable, and you can have the initial radial menu consist of anywhere from one to eight buttons. Way more than just a home button. One thing to mention about radial menus is that they are favored by usability experts because an entry always appears in the same place, enabling their positions to enter your “muscle memory.” You won’t have to search for an entry each time by looking. The other way to interact with the virtual home button is through custom actions assigned to a single-tap, double-tap, long-press, and 3D Touch. The default 3D Touch function, for example, is to go to the Home screen. But of course you can remove all the settings except the regular home-button functions that you’re used to. 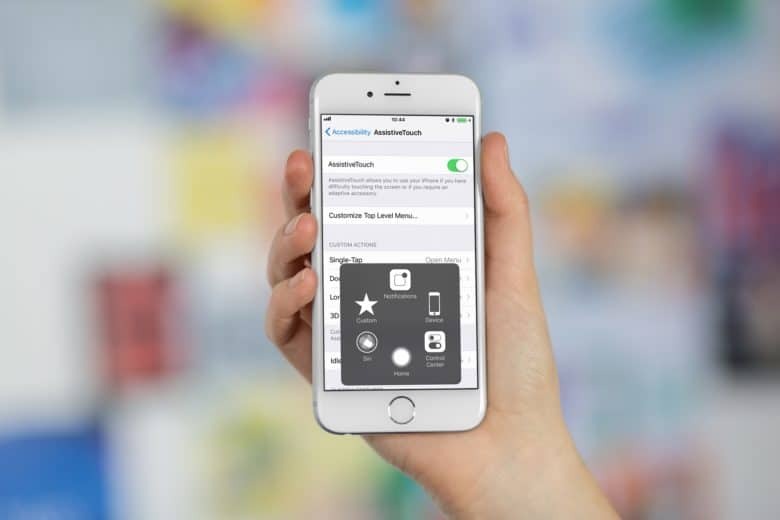 AssistiveTouch is a fantastic accessibility feature, but it is so useful that you might like to have it on-screen all the time even if you’re using an iPhone with a physical home button. It offers shortcuts to some deep (and often deeply-hidden) iOS features. Should you use it to replace the iPhone X’s missing home button? Probably not. After all, Apple has already designed many well-though-out gestures to replace the home button. When I used an iPhone X for the first time, I adapted to the new gestures immediately. If you have used iOS 11 on an iPad, the swipe-up gesture is already familiar. But perhaps you should try out AssistiveTouch anyway, because it really is pretty amazing, and — on the iPhone X’s long, long screen — it won’t get in your way all the time.